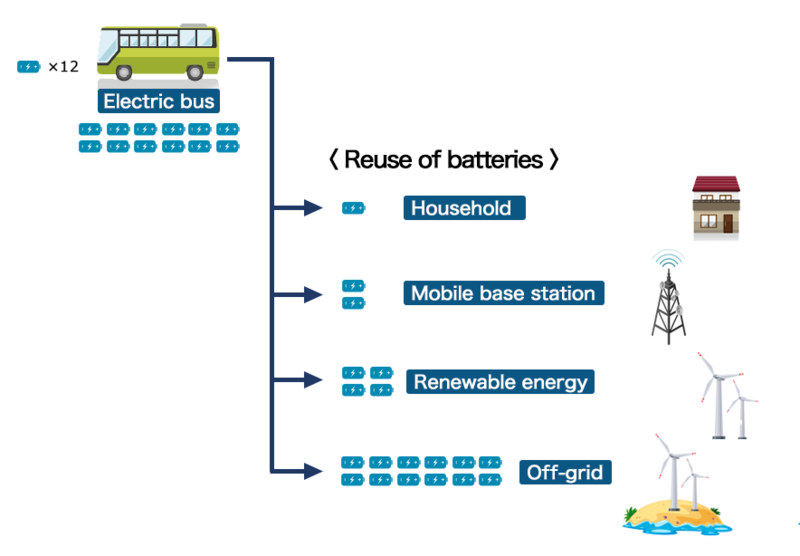 The reuse of e-mobility batteries is important from the viewpoint of “economy” and “effective resource use”. However, there are problems with the management of the battery usage history and the battery performance guarantee. In order to solve these, we have established a monitoring platform for reusable batteries. One of the problems with reusing batteries is that it takes a lot of labor and cost to disassemble the battery system and repackage it for the next use. In this project, we developed a compact battery pack intended for the secondary use beforehand. 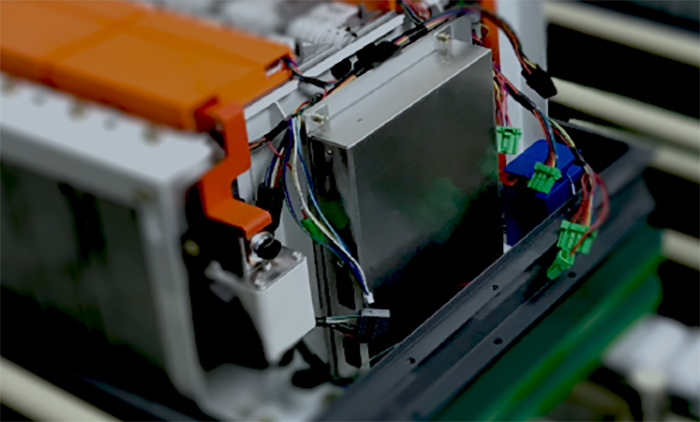 We constituted the battery system for electric buses by connecting several packs. This removes the burdens of repackaging. This project is taking place in Taiwan, where they are aggressively introducing EV vehicles and renewable energy. 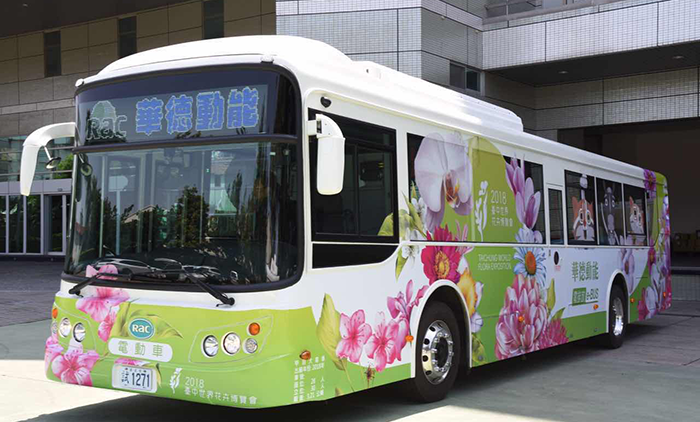 A battery system of about 600V was constituted for an electric bus by installing 12 compact 48V battery packs. The 48V compact battery packs can be used independently, and can be individually diverted to other uses. The used batteries will be replaced with new batteries in a compact pack unit after they are used for electric buses and their capacity declines. The used compact battery packs are planned to be reused as household batteries, base station batteries or renewable energy batteries, etc.